Flintlock pistol (left-handed), France 18th. 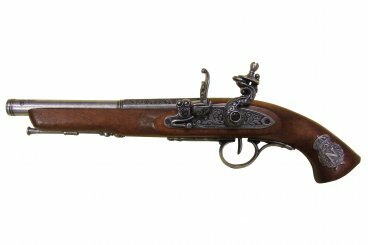 C.
Reproduction of flintlock gun with Napoleon's badge on the handle, made of metal and wood with simulated mechanism of loading and firing. 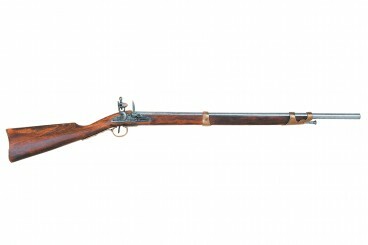 Feel to be protagonist of these Napoleonic conquests of the early 19th century with the DENIX reproduction of this pistol!